Novato, CA. – Like any true IPA fanatic, both Moylan’s Brewery and Marin Brewing Company want to make this Thursday (August 1st), a National IPA Day to remember. 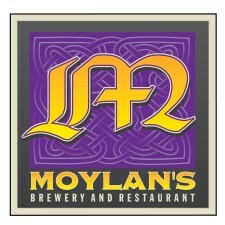 Just in time for IPA Day, Moylan’s Brewery announced today their newest release – the Therapy Session IPA. New Brewmaster, Derek Smith, was looking to create the perfect IPA for those who want their hops fix but don’t need the high alcohol content that usually comes with it. The Therapy Session IPA has a 4.5% ABV but all the hoppy flavor and kick of your more potent IPAs. The Therapy Session IPA uses a blend of Galaxy, Centennial, and Simcoe hops along with Araomatic, Caravienne, and Munich malts. Marin Brewing Company is also celebrating IPA Day in style. Marin Brewing Company favorites like Marin IPA and Three Flowers IPA will be on tap at the local-favorite brewery and restaurant, but Brewmaster Arne Johnson is marking the occasion with a twist to his classic Marin IPA by adding a new flavor addition of Simcoe hops and 30% less Crystal malt for a more hop-forward kick.